Dealing with adult acne I'm always on the lookout for the next best skin care product that is going to transform my skin and keep it as smooth and as clear as it can be. 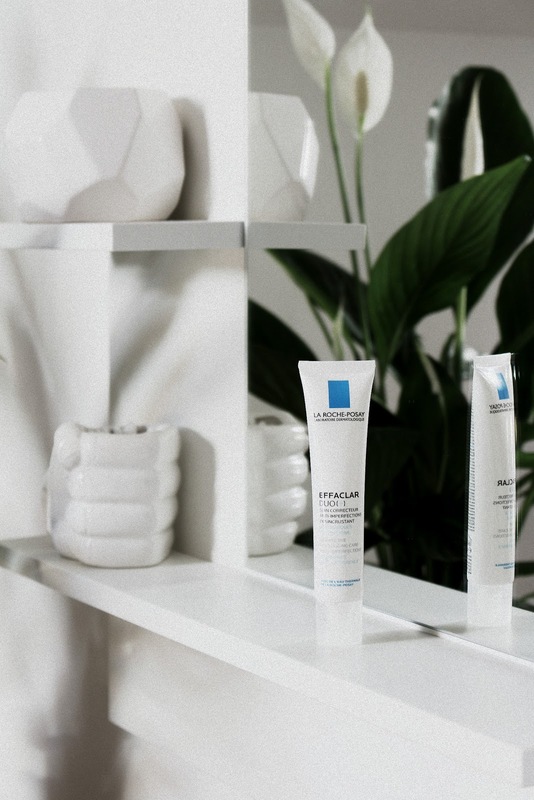 Back in the beginning of October I was contacted by La Roche Posay Belgium to try their Effaclar Duo Plus Moisturiser for acne prone skin. Having tried this particular product in the past, last year to be exact, I responded saying that it wasn't what I was looking for at that time. Turns out La Roche Posay has changed and updated the formula ever since - and they asked if I would try it again, which I did for the past month and a half! To make this review extra interesting for you and for me, I purposely waited for my period to come and go - to make sure I give this new moisturiser formula an actual run for its money. Let's go! 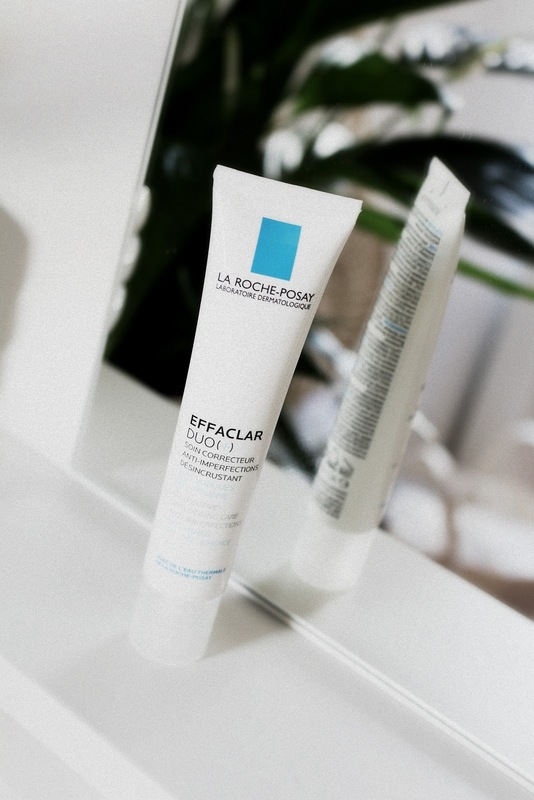 I have to say I'm pleasantly surprised by this new La Roche Posay Effaclar Duo Plus gel cream. My skin looks really good. I was a bit scared in the beginning, not gonna lie. Trying new products when you suffer from acne is always a bit of a gamble. My current skin care routine is working but finding a good moisturiser has always been a little tricky. Most acne fighting moisturisers easily irritate my skin, leaving it dry, red and flakey - as they are targeted for people who have oily skin. Oil production hasn't really been an issue for me, thus the only mattifying products I use are simply to be able to wear makeup and have it last all day. 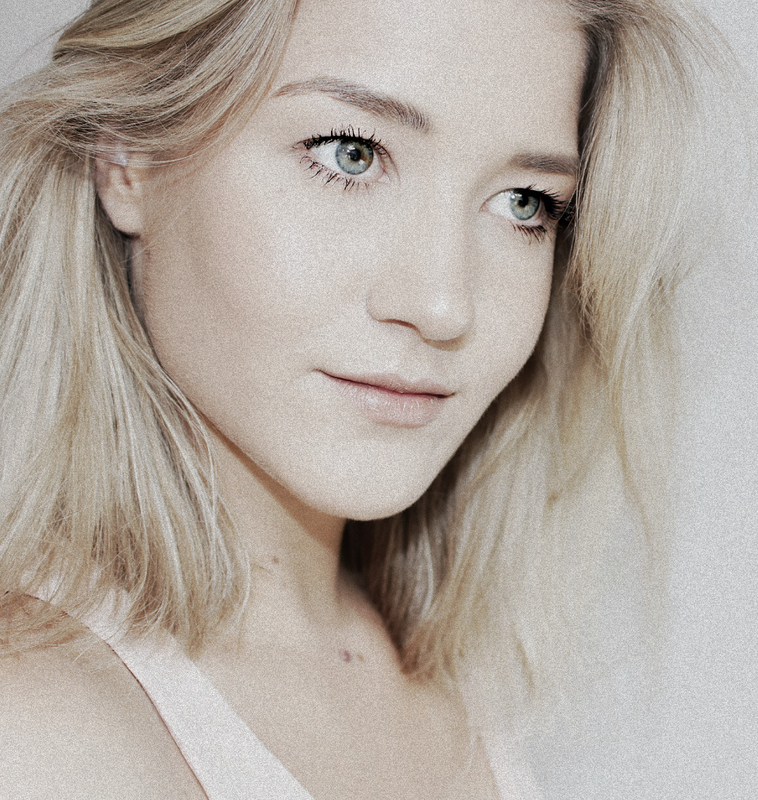 The Effaclar Duo plus moisturiser is a great makeup primer, I can tell you that much already. It's one of the claims of this product, along with the fact that this new formula should reduce redness, speed up the healing of scars, blemishes and ultimately lessen and prevent breakouts. Using this product I was very relieved to see that I survived my period without having any cysts come to the surface. I usually have a bunch appear on my chin and in between my eyebrows and they have absolutely been cancelled. My face no longer has the appearance of a war zone in the morning and it's nice to look in the mirror, check myself out and not feel or look like a red, bumpy mess. I still get whiteheads here and there, I admit, mostly on my forehead, but they haven't been as icky - so I can say with 100% certainty that my skin has definitely improved with the new Effaclar Duo Plus Moisturiser. I've been applying it every morning and evening, after cleansing and toning, it smells nice - like smarty roses (if you're familiar with those) and it feels good and soothing to the skin. What I appreciate the most about that last part is that my face is no longer as inflamed as it used to be. A lot of the redness has gone and it makes me feel a lot happier and much more comfortable and confident on days where I don't wear any makeup. I do have to say that routine is definitely important using this product, whenever I'd be lazy about it, I'd have breakouts again, so being consistent is key. I will be repurchasing this product on my next trip to the drugstore, along with another favorite I have from this brand, that I've been using for a while already, which is the Effaclar Targeted Imperfection Corrector. 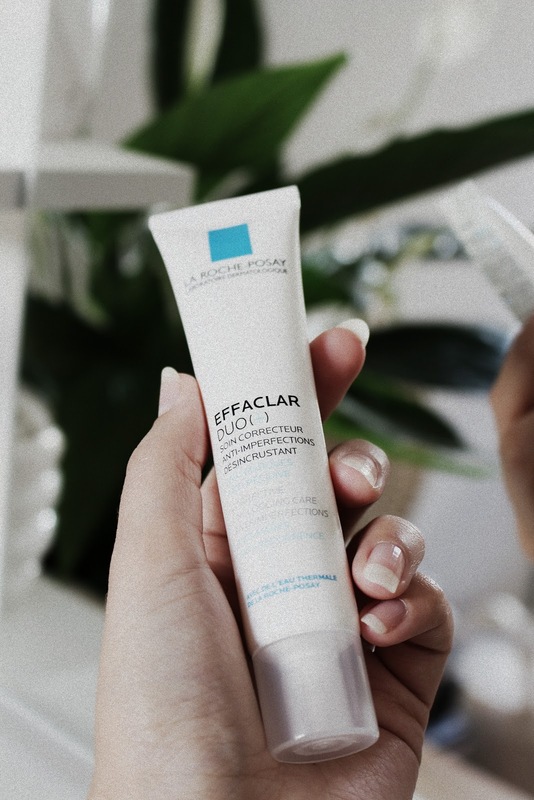 The Fall season will soon be over and I trust that the new and improved La Roche Posay Duo Plus is the perfect moisturiser, especially now that the temperatures have already dropped. My skin is prepared and ready for the Winter cold, is yours?